You may occasionally find that your new dog may begin to show signs of aggression towards their food, water, toys, or other resources. Your family pet may develop aggressive and guarding behaviours over time as well. There are different methods for approaching how to treat this aggression, including training and obedience classes. 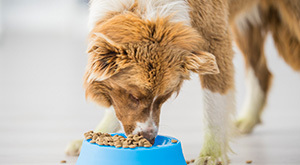 Don’t Try Hand-Feeding as A Solution – Often, people attempt to interact with their dog while it’s eating in an attempt to reduce the aggression and guarding behaviours. This may include petting and touching the dog while they eat or hand feeding the dog. The owner assumes the dog feels comforted and associated their owner with positivity and meal time. 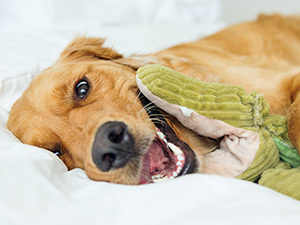 In reality, the dog will tolerate or even enjoy their owner’s presence if they had no desire to guard their resources to begin with, so the exercise had no positive or negative effect. If, however, the dog does have a desire to protect their food, interacting with them while they eat will continue to be regarded as a stressful event, further causing the dog to become more defensive and view the human as a challenger for their meal. Do Not Punish Your Dog – By swatting or otherwise physically punishing your dog, you add fuel to the fire so to speak. They will perceive you as an aggressor and a more severe threat to their resources. This can also lead to insecurity in their general daily life as well. The more insecure they become around food and human beings, the further the aggression will begin to escalate to not just you, but others in your home including potentially children. Offer A Crate as A Safe Space – It is a good idea to introduce your dog to a crate shortly after bringing them home. The crate offers them a safe place to relax, play with a toy, have a treat, eat, or drink without feeling the need to protect their resources. Here at Alpha Paws, we offer Basic Obedience classes as well as an Aggressive Dog Training program to help support the relationship between you and your dog. The programs not only encourage proper behavior overall, but also help with things such as establishing a command for disengaging. The command helps to prevent dogs from reverting to the defense mode they have hard-wired in their nature to protect or become aggressive over food or resources, whether towards humans or other pets in the home. To enroll your dog in either our Basic Obedience classes or our Aggressive Dog Training programs, contact Alpha Paws today at 1-877-868-5248 (PAWS).